If you’re in search of an authentic bush experience and comfy safari accommodation in South Africa, visit Umlani Bushcamp. Situated in the Timbavati Game Reserve in Limpopo, Umlani offers a rewarding Big Five safari while retaining an easygoing, rustic atmosphere in camp. Authenticity and romance is kept alive by the absence of electricity. Ten traditional reed and thatch huts provide comfortable bush pads, the beds equipped with mosquito netting and the bathrooms with standard amenities. Outdoor showers are a great way to freshen up in the wilderness! Without fences preventing the movement of animals between the Timbavati and the Kruger National Park, wildlife viewing on 10 000 hectares is excellent. For a memorable, close-to-nature experience, Umlani also offers optional bush sleepouts in a treehouse situated 1.5 km away from the lodge. There's currently no specials at Umlani Bushcamp. 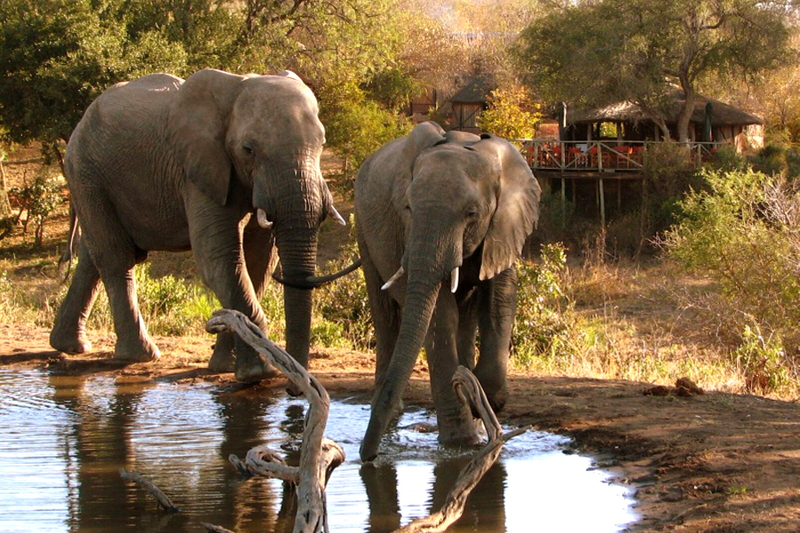 Accommodation, 3 meals per day, 2 x game drives, optional bush walks, all local brand drinks + 15% VAT. There are no formal conference facilities at Umlani Bushcamp.